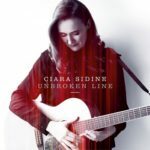 It’s six years since the release of her debut album, but Ciara Sidine hasn’t wasted that time; on the evidence of her second album “Unbroken Line”, she’s been constructing a fine bunch of songs that tackle contemporary issues with a deftness and delicacy of touch that evokes some of the great popular songwriters of our time. She’s not just an average singer, she has a fabulous voice that will melt the hardest of hearts, going all the way from delicate (almost fragile) to the bluesy raunch and double entendre of “Lemme Drive Your Train”. The opener, “Finest Flower”, sets the tone for the album with its haunting combination of melancholy pedal steel and upright creating the setting for a song tackling the iniquities of the Magdalene Laundries. It also shows Ciara’s willingness to experiment, using some grungy ambient sounds in the leadup to the guitar solo. Definitely no one-trick ponies here. The songs are strong and varied, the arrangements work perfectly for the subject matter, but the real clincher is Ciara’s voice. Her range is impressive and she makes the most of it. The laconic shuffle of “2 Hard 2 Get 2 Heaven” features the husky lower end, while the fatalistic acoustic piece “Woman of Constant Sorrow” features a high, keening vocal before building up to a menacing slide solo. The band moves effortlessly between styles from the slow jazzy country feel of “Watching the Dark” to the gospel rockabilly of “Wooden Bridge”, hinting at the vocal stylings of Patsy Cline and Imelda May respectively. “Let the Rain Fall” references the Stax sound, particularly the clipped Steve Cropper guitar sounds and “Take Me with You”, featuring some particularly lovely harmonies, could have found a home on any of the first four Jackson Browne albums. There are plenty of things to admire about this album; the songs, the settings, the individual playing and of course the superb vocals. The subtlety and gentleness of the stylings allows Ciara to push home some uncomfortable messages without introducing any harsh corners and in that respect, it’s a very nuanced and sophisticated piece of work. “Unbroken Line” is released on Friday October 6th. 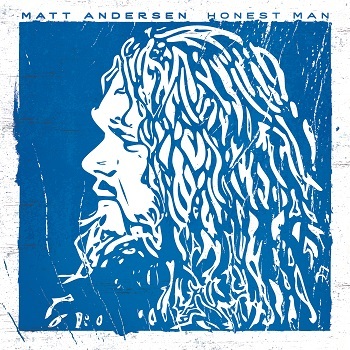 You barely make it past the intro of the album’s opener, “Break Away”, before it hits you; Matt Andersen has a phenomenal voice. It’s a rich baritone from the same mould as the great Paul Carrack and it’s the perfect vehicle for this set of songs harking back to the glory days of Stax and Atlantic. Matt’s previous work has been filed under blues, but there’s no doubt at all that this is a soul album (with a few detours into reggae rhythms and a hint of seventies rock). The album has a lot in common with last year’s Southside Johnny classic “Soultime!” in that they’re both inspired by the glory days of sweet soul music; you can find little references to all sorts of artists and styles throughout the album, but it’s ultimately held together by that superb voice. The album opens with the Hammond-led gentle reggae feel of “Break Away” which hints at “Graceland”-era Paul Simon and The Staples’ “Come Go with Me”, moves into the slow and subtle soul of “The Gift” with its beautiful cascading guitar before the title track throws a whole bunch of influences into the blender. “Honest Man” opens with a riff that’s not a million miles from “Crossroads”, develops with some Memphis Horns-style brass (including the trademark rasping baritone sax) and drops into a chorus with backing vocals which could have been inspired by Don Henley’s scathing “Dirty Laundry”. So, you get the picture; the album pulls dozens of influences into the blend without ever sounding derivative. “All the Way”, with its hint of a reggae beat, languorous vocal and wah-wah guitar has a hint of seventies Clapton, “Last Surrender” has echoes of Sam Cooke and “Who Are You Listening To?” suggests late seventies Bob Seger, both musically and lyrically. It’s a celebration of some of the classic stylings from our musical history combined with a bunch of well-constructed contemporary songs. There are a few political and social references, but the songs cover a variety of lyrical themes including love and friendship. “I’m Giving In” is a haunting piano ballad with an intimate, late night vocal while the album’s closer, “One Good Song”, describes the things that a songwriter would suffer to create the one song that makes an audience stop and listen. It’s fair to say that he’s done that a couple of times on this album with the title track and “Last Surrender”. “Honest Man” is a joyous piece of work placing a superb soul voice in settings which demonstrate its quality to perfect effect. 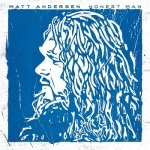 “Honest Man” is released on True North Records (TND612) on April 1st. So, this is the first in a new series of features about hearing great albums for the first time and the impact those albums had on us. To start the series, I’ve picked an album which will be thirty-five years old this year and it’s certainly wearing a lot better than I am. 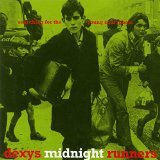 It’s the Dexys Midnight Runners debut album “Searching for the Young Soul Rebels”. It was released on July 11th 1980 and peaked in the UK album charts at Number Six, but that doesn’t tell you anything like the whole story. This is an album that is still revered by thousands of fans and regularly appears in best albums of all time charts. As far as I’m concerned, I’m still happy to pull out my vinyl copy of the album any time, stick it on the SL1200 and listen from start to finish; it’s still a great piece of work and, like all classics, people love it for different reasons, not all of them musical. So, just let me give you a bit of context here. In October 1979, the final year of freedom before joining the real world was just beginning. The final year of university, a last chance for free gigs and as much DJing as I could wedge in before finally trying to justify four years of a local authority grant. We were just starting to read in the NME about some new bands and styles emerging in London and the West Midlands and coming to terms with the prospect of five years of Thatcher (if only we knew then…). A lot of the new music seemed to have a harder edge; punk had come and gone but it had left behind a feeling that anyone could be in a band. The university circuit was a great place to see bands and I was lucky enough to be at a university that was on the circuit (ok, Dundee, if you must know). It was going to be an interesting year. During the usual beer and catch-up session with the Ents crew (the PC alternative to trying to seduce freshers) we would talk about music we’d bought between June and October (don’t those holidays seem incredibly long now?) and the bands we’d seen. There weren’t a lot of those if you lived in Mansfield. In October 1980, Phil Madvert (our Ents Committee cartoonist, poet and poster designer) came back from Birmingham all fired up about this new band called Dexys Midnight Runners that were going to be huge; yeah, of course mate, just like City Boy. But Phil was absolutely on the money and we were gracious enough to admit it when we heard “Dance Stance”; this was the real thing. On February 3rd 1980 (less than a week before their first Top of the Pops appearance) Dexys played at Dundee University Students’ Association. They DJ on the night was incredible- yeah, ok, it was me and I was scared shitless because I’d read all about Kevin’s perfectionism. Anyway, I scraped through and Dexys were stunning; I was already converted before the album was even released. When the album finally came out, I was back in the real world, working for a living and realising how different (and how much harder) it was. Even though three songs from the album had been released as singles (and “Geno” had topped the charts) I couldn’t wait to hear how it had all been put together. Now, please tell me I’m not the only person who did this; I got back home with album at about 11am on Monday morning, I put the album on the deck, dropped the stylus and heard the very quiet sound of a radio being tuned across the dial (if you’re younger than 45, ask your parents about that) so I turned up the volume until I could hear “Smoke on the Water”, “Holidays in the Sun” and “Rat Race” in succession through the static, and then the brass intro to “Burn It Down” nearly blew the bloody roof off. Wouldn’t have been so bad, but my dad was on nights; I don’t know who was less popular, me or Dexys. So, “Burn it Down”; well it was the single “Dance Stance” with a different title, a title that made a lot more sense in the context of the album. There are some tracks that are perfect album openers (how about the Manics’ “Slash ‘n’ Burn” from “Generation Terrorists”?) and “Burn It Down” is one of those, from the radio sweeping the airwaves, through Kevin Rowland’s exhortation to Al (Kevin) Archer and Big Jim to ‘burn it down’, to the brass intro on steroids, it’s perfect. The lyrics were about the stupidity of Irish stereotypes, but you could apply to any of the other racial or gender stereotypes prevalent at the time, even in politically correct students’ unions. And into “Tell Me When My Light Turns Green” with its big opening brass riff, powerfully personal lyrics, Kevin Rowland’s falsetto and the soon-to-be characteristic swooping vocals and a nailed-on trombone solo from Jim Patterson. The line ‘I’ve been manic-depressive and I’ve spat a few tears’ seemed odd at the time, but it makes sense now with some historical context. Even now, “The Teams That Meet in Caffs” is one of the most evocative instrumentals in my collection; it’s note-perfect from the acoustic guitar and bass intro through the entry of the Hammond and then the brass section which takes the lead through the track. The brass is relatively simple, tight ensemble playing until the soaring alto sax solo which takes us up to the fade; it’s the perfect soul instrumental. “I’m Just Looking”, pulls you in with a whispered vocal and Hammond intro, before settling into a slow, impassioned, vocal backed by more subtle and delicate brass arrangements with lovely use of dynamics to enhance the power of the song. As for “Geno”, well it had already been a hit when the album came out; it was a rabble-rousing, stomping anthem which acknowledged the influence on Kevin Rowlands of Geno Washington and the Ram Jam Band, but with the sting in the tail ‘now you’re all over your song is so tame’. It was about the impact that music can have on a purely visceral level (‘Academic inspiration you gave me none’) and it was spot on for its era. Side Two (force of habit, I’ve got this on CD as well but I always think of it as vinyl) opens with a cover of Chuck Wood’s Northern Soul classic “Seven Days Too Long”, which is faster than the original and uses the brass section more emphatically to punch out the fills. It’s another acknowledgement of the roots of Dexys music and a great cover. “I Couldn’t Help It If I Tried” is slow and powerful, featuring Kevin Rowland’s full range of vocal tricks and the brass section playing chords and arpeggios to build the mood. There’s even a nice trombone solo from Jim. “Thankfully Not Living in Yorkshire it Doesn’t Apply” is a bit of an interesting one; it’s taken at almost breakneck speed, and the vocal in the verses is entirely falsetto. It just about works but I suspect it isn’t most people’s favourite song on the album. And then we’re into the home straight with “Keep It”. It’s medium-paced and pushed along by the pulse of the Hammond and brass in the choruses. In common with the final song, the lyrics are about an unwillingness to commit, but I’ll come back to that. And just before the climactic closer, there’s a poem, a bloody poem backed with a sax solo. Listening to it now, it seems less odd than it did then; it’s a love poem about the concept of love and the lies it makes people tell each other and themselves and it works really well apart from the pause after ‘won’t’ which disrupts the flow of ‘We all feel something I won’t pretend just for you’. Poetry critics, feel free to disagree with me. The final track, “There There My Dear” was released as the taster single for the album in July 1980 and, for me, it summed up Dexys. It roared in on a wave of Hammond and horns before the General Johnson vocal trill pulled us in to the first verse; now that’s how to start a song. Lyrically, it’s in the form of a letter to a character who’s trying hard to be fashionable by not making any mistakes but won’t commit to anything worthwhile. At times the words are shoehorned in, but it really doesn’t matter because it’s a majestic noise. When the breakdown comes at just after two minutes, we’re left with bass, drums and quiet brass and Hammond which gradually build up (after finally bringing in the title of the album) to the album’s message – ‘Maybe you should welcome the new soul vision’ before ripping into the final verse and brass fade. You can probably guess what I did next; yep, flip it over and back to the start again. So, why did this album have such a big impact on me (and thousands of others) at this time? Well, how about the musical reasons? I grew up listening to a lot of different music in the early 70s, but the soundtrack for the shared musical experiences was basically Stax, Atlantic, Motown and Northern Soul, so the Dexys sound was tapping into a vein of nostalgia, but it was much more than that. This wasn’t just some limp tribute band; they had taken the aggression that punk had spawned and combined it with those old soul stylings. The guitar wasn’t the dominant instrument in the line-up (the only time you really hear a guitar stand out on the album is on “The Teams That Meet in Caffs”, and then it’s an acoustic); it’s all about the horns and the Hammond and Kevin’s tortured vocal. And the thing about the horns is that they are LOUD; it was a deliberate production decision which gives a punchier, punkier sound to the songs. The album isn’t one-paced, there’s a lot of dynamic variation and the horns play punchy fills, tight ensembles, counterpoint and even the occasional solo (but not too many of those). But we all knew it wasn’t just about the music, there was an attitude (the attitude that had terrified me when I had to DJ just before they played), there was a commitment, there was even a bloody manifesto. There was an insistence on dealing with the press and the public on their own terms; the one-page essays in the press to replace interviews and the communiques that arrived as inserts with the singles. They even kidnapped their own master tapes from EMI to secure a better deal. Attitude? And the rest, mate. And then there’s the image. The Marlon Brando longshoreman look that supposedly came from the way Big Jim was dressed at a really cold rehearsal (Dexys fans please feel free to correct me if I’m wrong on that). It wasn’t a look that was designed to sell clothes from your boutique (yes, you, Mr McLaren), it was a look that working class kids could understand and copy without paying a fortune and it made them look unified and menacing; it was the group as a gang. They were portrayed as a group of outsiders, united by a common look and a musical vision; you were never quite sure which side of the law they were on (they talked about bunking the train to London in interviews, while they still did them) and anyone could join their gang. The timing was right; punk had self-imploded and John Lydon had admitted it over two years before with his “Ever get the feeling you’ve been cheated?” question at his final Pistols gig. The Clash had moved on, The Damned had always been a joke, and the rump of the movement was flirting with Nazi iconography and straight-baiting make-up. The epicentre of rebellion had shifted to the West Midlands and it felt more authentic and less stage-managed by the likes of Malcolm McLaren and Bernie Rhodes (although he did feature at the start); it was being led by musicians and it felt so much better because of that. For me personally, it was a bridge between my teenage years, my student years and the real world that I’d finally dropped into. It was music I loved being made by people that cared and it was intended to be played loud; it’s still a touchstone for judging new albums. That’s how “Searching for the Young Soul Rebels” felt and still feels to me. Sometimes it’s shocking that a band can be around for nearly ten years playing quality music without ever grabbing your attention; maybe it’s because, contrary to popular belief, there are still hundreds of superb bands out there and it’s just possible to occasionally miss one. 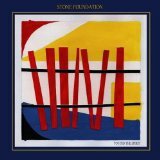 So I have to apologise to Stone Foundation; let’s hope I can make up for my shocking ignorance. Before I even start on the music, I have to say that there’s an attitude about the band that evokes the early days of Dexys Midnight Runners; the band page on their website reads like one of Kevin Rowland’s legendary communiqués in the band’s heady early days. There are lots of underplayed references to their influences on the website as well, but you can find those for yourself. The band members are Neil Jones (vocals, guitar and harmonica), Neil Sheasby (bass), Ian Arnold (Hammond), Philip K Ford (drums), Spencer Hague (trombone), Lynn Thompson (trumpet) and Gary Rollins (saxophone and flute). They’ve been touring as headliners and recently as support to acts like The Specials on their recent arena tour, steadily building up their own fanbase and “To Find the Spirit” is their fifth studio album. This is a band which wears its influences proudly on its sleeve; if it’s remotely soulful and it was made in the 60s or 70s, it’s probably had an influence on Stone Foundation. The playing is of the very highest quality but this isn’t about style over substance and flashy solos; on “To Find the Spirit”, everything is beautifully arranged for the seven-piece ensemble and nothing is out of place. And if that isn’t enough for you, there are guest appearances from soul legend Nolan Porter, 60s icon and soul survivor Andy Fairweather Low, former Dexys bass player Pete Williams, journalist and soulboy Paolo Hewitt and the fabulous former Young Disciple Carleen Anderson. The album pulls you in instantly with the opening bass, guitar and Hammond crescendo of “To Find the Spirit” leading into a horn arrangement that wouldn’t sound out of place on a Southside Johnny record; to make things better still, it evoked memories of the 70s Natalie Cole classic, “This Will Be”. A pretty good start really. “Bring Back the Happiness” (featuring Nolan Porter) starts with a clean guitar riff and Hammond chords and tips more than a wink to Booker T’s “Time is Tight”. “That’s the Way I Want to Live my Life” again has a lovely Stax feel, presenting us with the rare treat of a trombone solo and you really don’t hear enough of those these days. “When You’re in My World” (featuring Carleen Anderson and the Q Strings) continues in a similar 60s feel with a lovely understated sax solo before the thunderous drum and pure Dexys horn intro leads into “Stronger Than Us”. “Don’t Let the Rain” is, I suspect quite deliberately, the centrepiece of the album with its laid-back positive message and gradual build-up over nearly nine minutes using all the elements of the band (particularly sax and muted trumpet) in the arrangement, and it’s followed by the slow 60s groove of “Crazy Love”, again featuring a Nolan Porter vocal. “Telepathic Blessing”, with its moody electric piano intro, builds to an ending which has the Hammond and horns working perfectly together. “Hold On”, featuring Andy Fairweather Low, with its mid-tempo feel could be a post-Impressions Curtis Mayfield song and I don’t throw compliments like that around lightly. “Child of Wonder” is an interesting combination of a surreal Paolo Hewitt rites-of-passage monologue set against a jazz-funk background (built around the bass riff from Roy Budd’s “Get Carter” theme) evoking smoky LA bars lit by out-of focus neon lights. If you’ve heard “Over the Border”, the opening track from the recent Saint Etienne classic album “Words and Music”, you might hear a few similarities. “Wondrous Place”, featuring Pete Williams is the mid-tempo, Hammond and horn-led closer to the album before the bonus Dennis Bovell dub mix of “Don’t Let the Rain”, which creates a lot of space and doesn’t try to compensate with a lot of unnecessary effects. If you’ve ever liked anything by Booker T and the MGs, Young Disciples, Nuyorican Soul or anything on Stax and Atlantic, then you’ll love this. “To Find the Spirit” is a labour of love where the songs, the performances and the arrangements dovetail perfectly to create a seductive and glorious stew of influences which still sounds vibrant and contemporary. Released March 10 2014 on Republic of Music, via Universal (CD – TPCD007, Vinyl – TPL007).